This is a handmade lace trim featuring a detailed diamond lace pattern with a straight edge at the top & a scallop edge at the bottom. Circa 1920's. 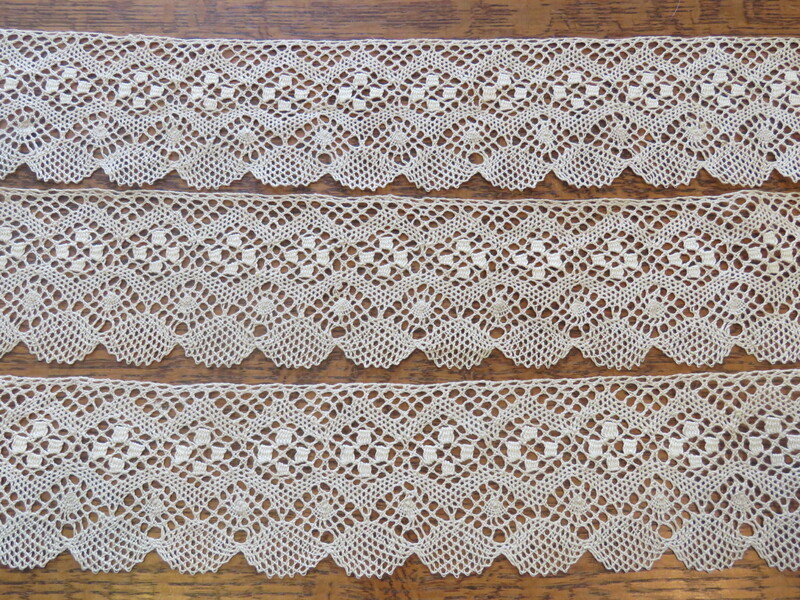 Antique Handmade Lace Trim Measurement: 6 yards x 3 3/4"
Antique 1920's Handmade Lace Trim Condition: Excellent condition. 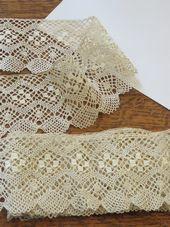 This antique lace has not been washed & has light patina from age. I noticed only 3 thread breakages & all are at the top straight edge where it was at one time carefully clipped off a garment. This could be easily mended as it is not in the main body of the lace.